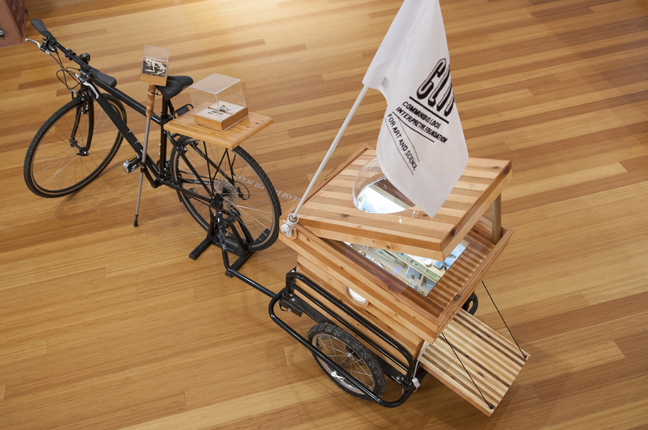 Communibus Locis Interpretive Foundation (CLIF): Mobile Wunderkammer, 2014. CLIF: Mobile Wunderkammer, 2014 Bicycle, wood, objects from Florida Museum of Natural History; CLIF logo Connie Hwang Design; Digital embroidery by Jess Larson; Lent by the artist and the Florida Museum of Natural History. Communibus Locis Interpretive Foundation (CLIF): Mobile Wunderkammer (Detail: Interior), 2014. Sean Miller, Communibus Locis Interpretive Foundation (CLIF): Last Whole Earth Cabinet, 2013–14 Lent by Sean Miller and the Florida Museum of Natural History; Photo: Annemarie Furlong, 2013-14. 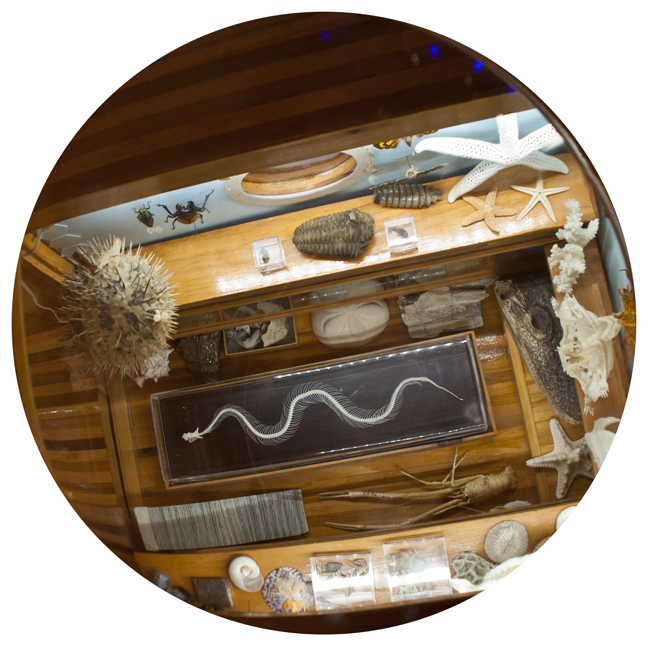 Sean Miller, Communibus Locis Interpretive Foundation (CLIF): Last Whole Earth Cabinet, 2013–14 Lent by Sean Miller and the Florida Museum of Natural History (Detail), 2013-14. 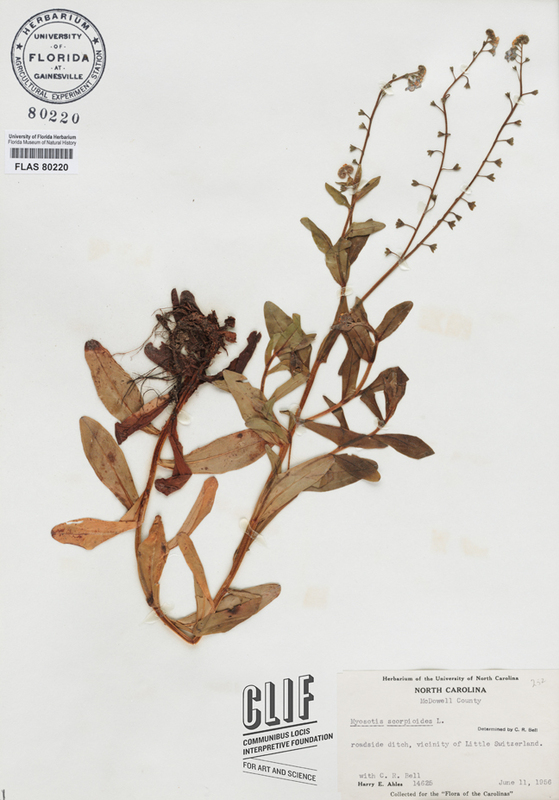 Sean Miller, Communibus Locis Interpretive Foundation (CLIF): Last Whole Earth Cabinet, 2013–14 Lent by Sean Miller and the Florida Museum of Natural History (Detail: Forget-Me-Nots), 2013-14. 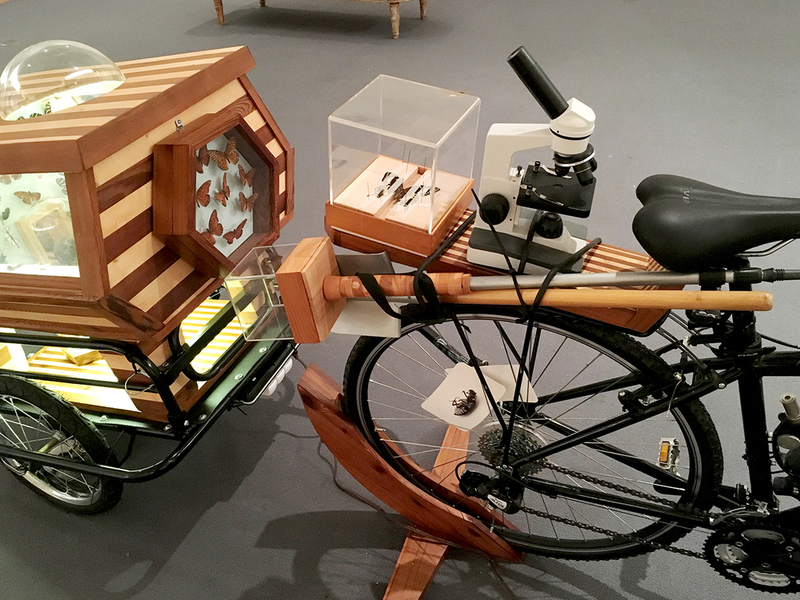 Sean Miller, Communibus Locis Interpretive Foundation (CLIF): Last Whole Earth Cabinet, 2013–14 Lent by Sean Miller and the Florida Museum of Natural History (Detail: Isopod), 2013-14.